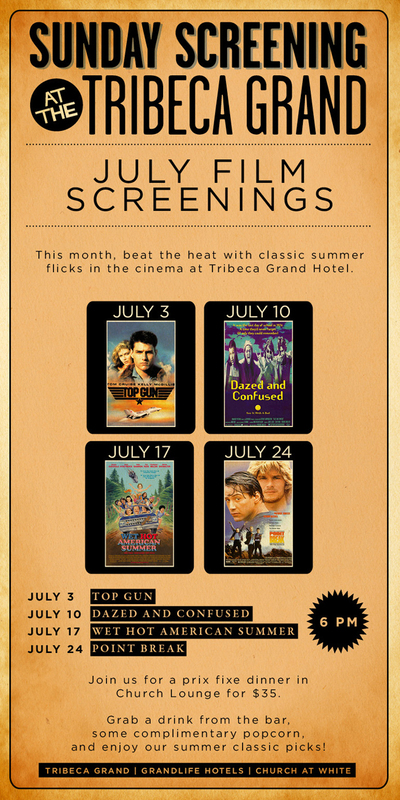 For July, Tribeca Grand is screening FREE flicks in it's air conditioned theater every Sunday evening. Screenings include Top Gun, Dazed & Confused, Wet Hot American Summer, and Point Break. Enjoy complimentary popcorn during the show.